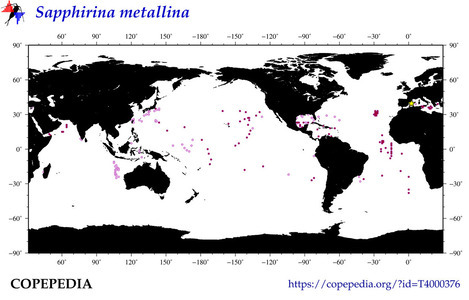 BLUE STARS show locations of any time series reporting this taxa or group (~ 1 sites globally). 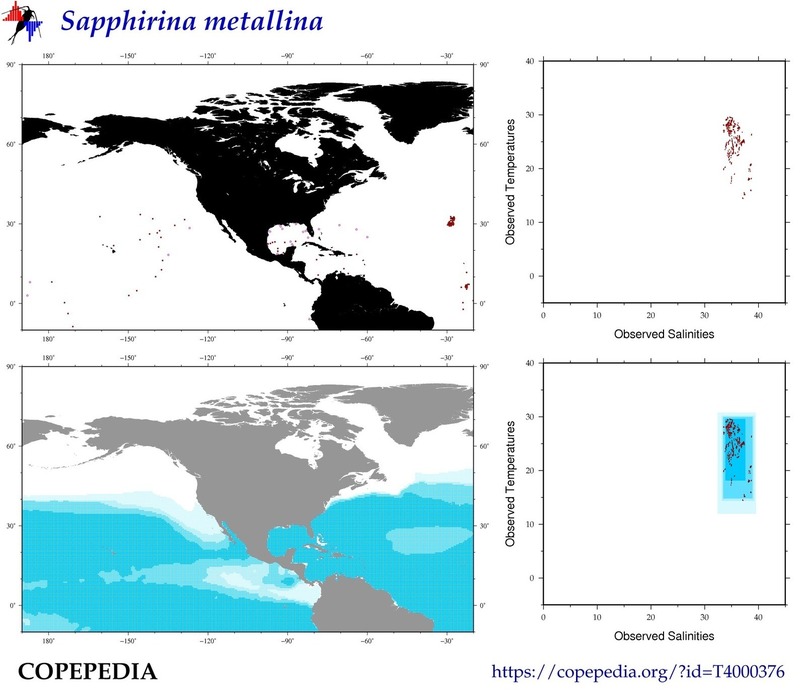 [BIOMETRICS ] (open below as a full browser window) These data are a collaborative contribution of the ICES Working Group on Zooplankton Ecology (WGZE). 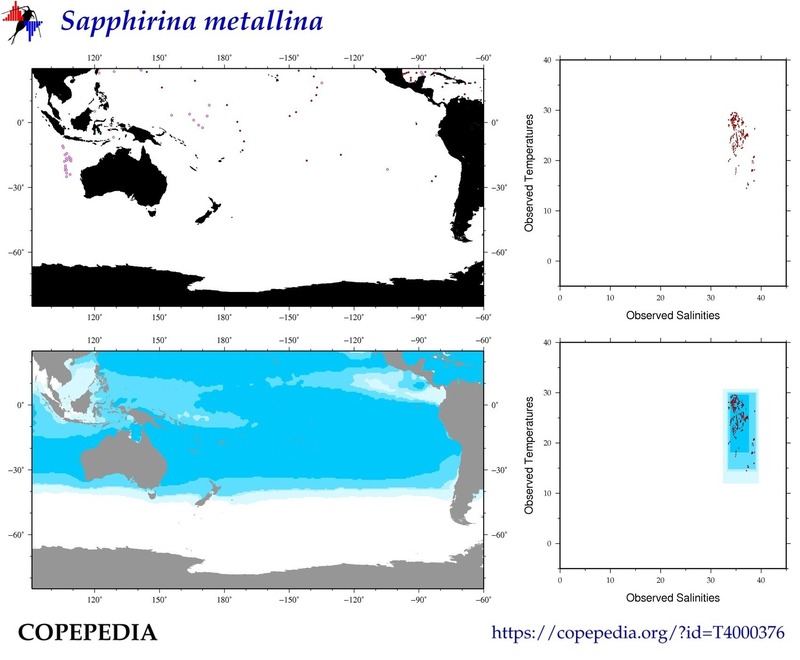 You can also download a CSV version of the Length-Weight or Individual-Size or Individual-Mass compilations. 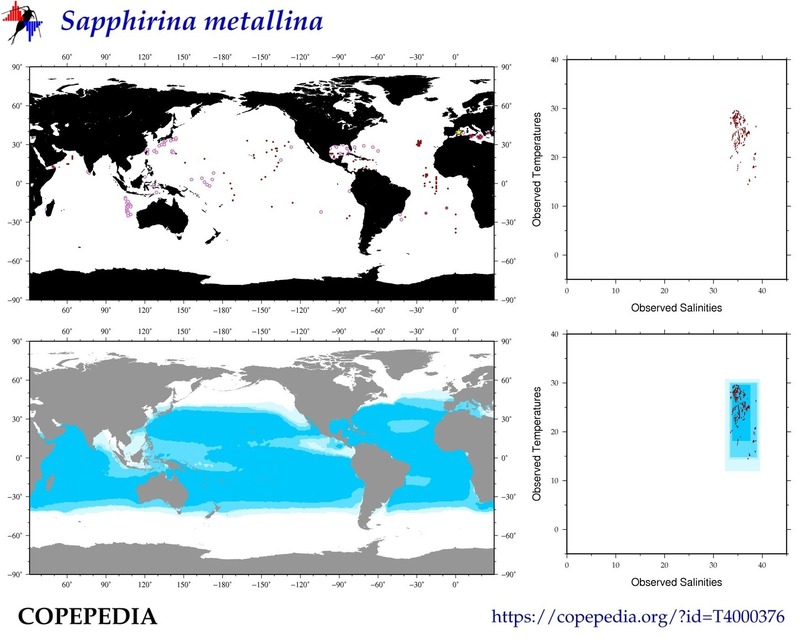 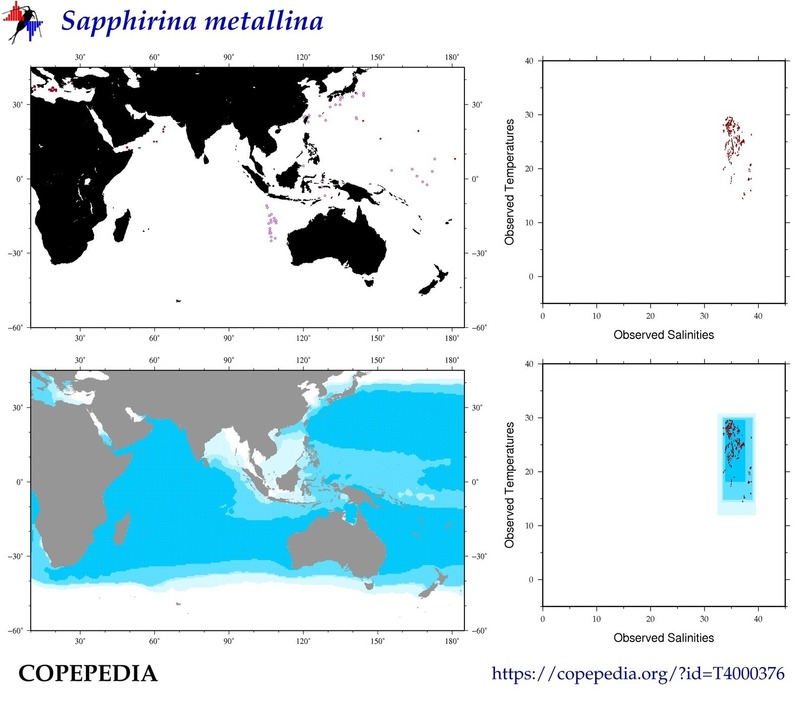 Time Series that contain Sapphirina metallina (or its taxonomic siblings). 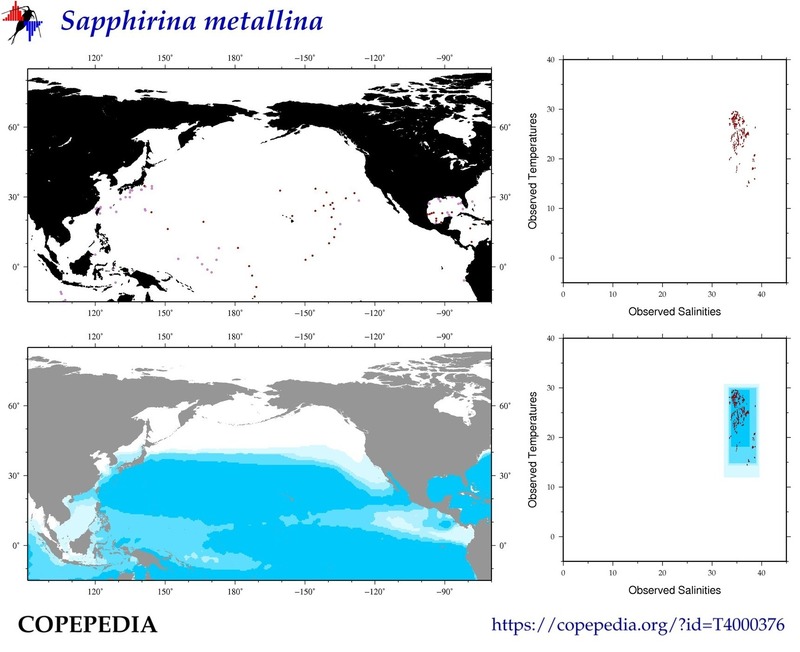 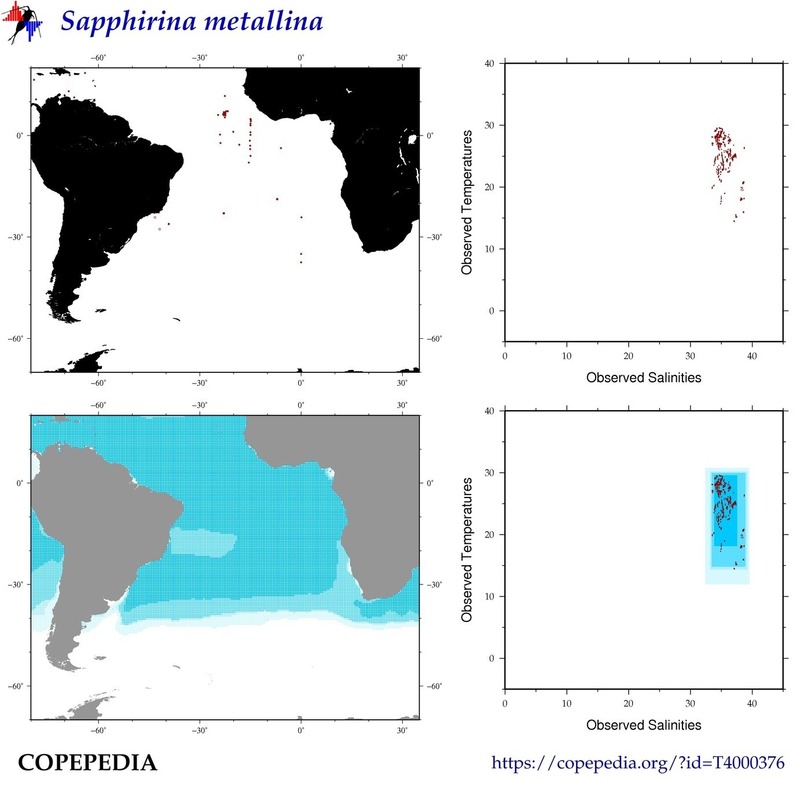 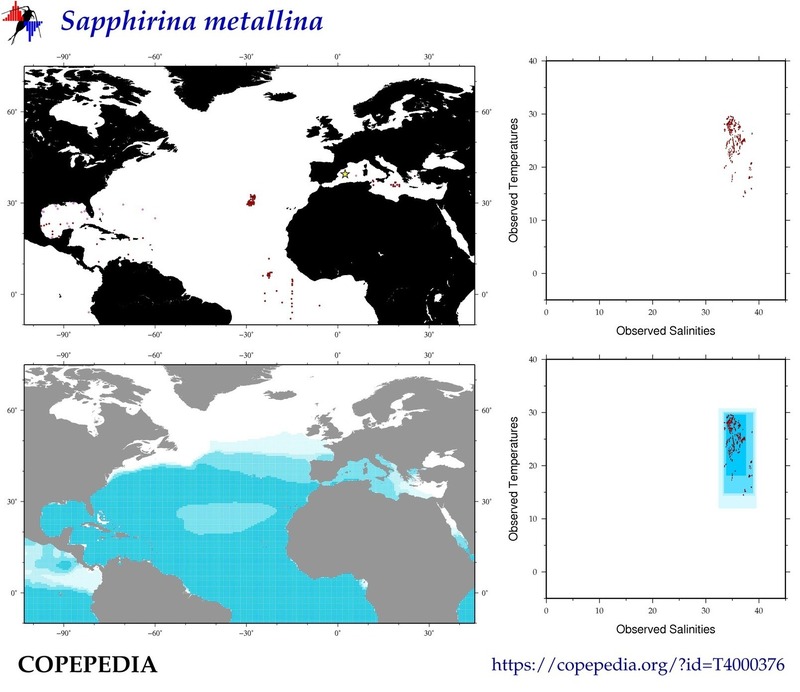 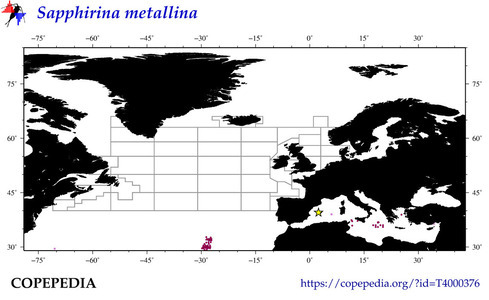 # of Observations Known data sets that contain (Sapphirina metallina).